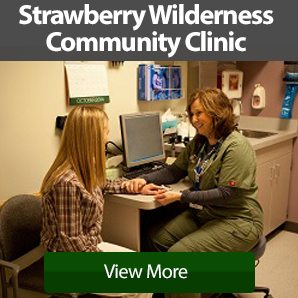 What is the Hospital Auxiliary? We are a volunteer program established to work for the benefit of the Blue Mountain Hospital District and assist the various departments of the facility in any way possible. We raise funds by hosting an annual Christmas Bazaar with Santa, an annual rummage sale, maintaining a Gift Shop and other functions to donate to hospital facility projects. Our annual bazaar was held on Dec 1, 2018 from 9 a.m. - 3 p.m. at the fairgrounds pavilion. This was the 29th year of providing homemade items. The bazaar offered: homemade soaps, lotions, ornaments, wooden toys, books, baked goods and more. This is the largest fundraiser for the auxiliary and proceeds go to benefit the hospital and Care Center. Our Gift Shop is located in the Lower Level Lobby and we are open Tuesday through Thursday 10:30 to 3:00. It is staffed by the Auxiliary members. 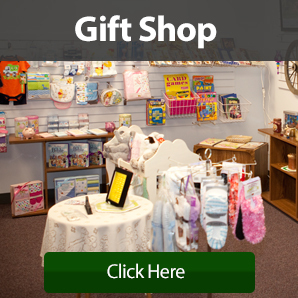 The Gift Shop provides all-occasion gifts and necessities for all ages including Infants and children. Snacks and iced coffee are also available. Stop by and check out our inventory. The Auxiliary is composed of persons who like to donate their time,energy, ideas and inspiration to help others. We welcome new members and hope you will consider joining!